Need to pass your test fast? We have a range of intensive and semi-intensive driving courses, tailored to learners with any level of experience. 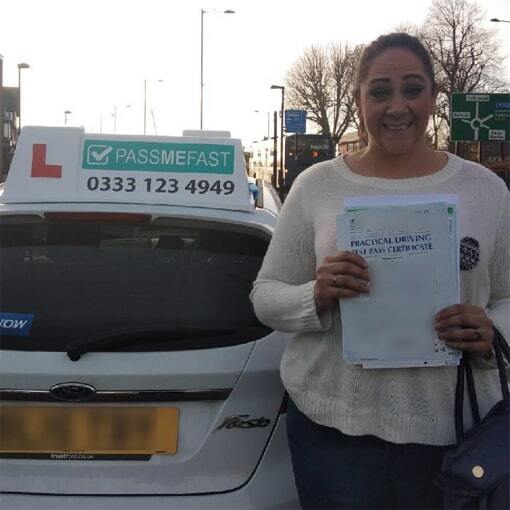 All of our courses can be taken in either a manual or an automatic car, and we can even fast-track your practical and theory tests, helping you get on the road fast. Our driving school has a fleet of high grade DVSA-approved instructors who specialise in intensive learning. They’ll provide you with the skills you need to be able to pass your practical test quickly and safely. Covering a wide range of areas across the UK, we'll even pick you up and drop you off at home. The first thing you need to do is pick your crash course - you have 9 to choose from. Not sure? Call us on 0333 123 4949. Book your chosen course by paying a £150 deposit securely online or over the phone. Relax whilst we spend a few days searching for your theory (if applicable) and fast-track practical tests. Test date finalised, you’ll start your crash course with a PassMeFast instructor who will pick and drop you off at home! If you're nearly test-ready but need to iron out a few issues, one of our refresher courses could be ideal for you! Little driving experience but still want to get your licence fast? Our beginner courses could be perfect for you. A one hour lesson to assess your driving ability. We aim to get a DVSA-approved instructor out to you within one week. We'll pick you up and drop you off at home no matter where you live! That's right — our courses start from just £280 (including the practical test fee)! All of our instructors are DVSA-approved and specialise in intensive courses. Don't hesitate to get in contact with us with any questions — we're happy to help! We find theory and practical tests for you as early as next week! Our pass rate is significantly higher than the national average! 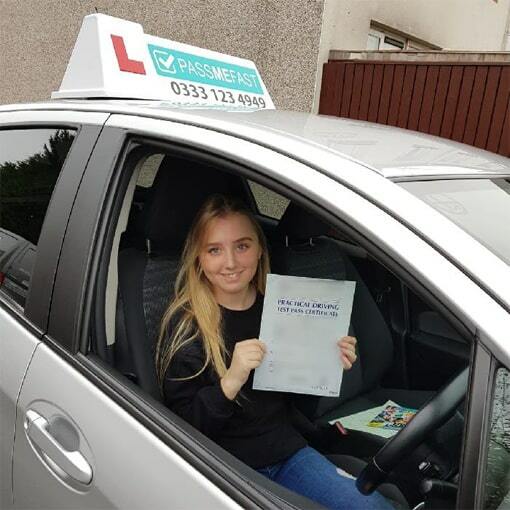 Gemma took 15 hours of lessons in an automatic car and passed first time! Alisha took our 25 hour crash course and passed first time with only 3 minors! 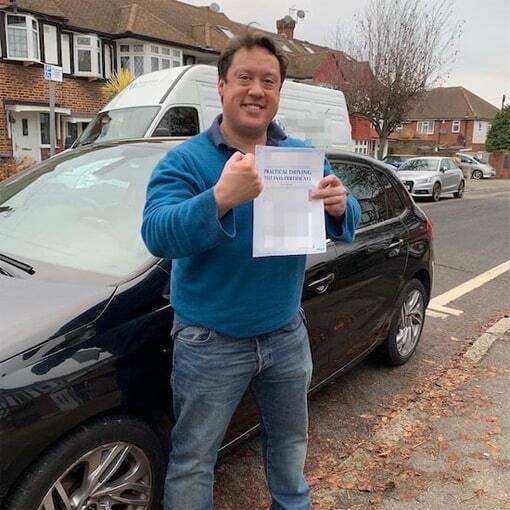 Mark needed a UK licence–after a 15 hour intensive course he passed first time! Sachin needed a driving school that could get him passed fast. 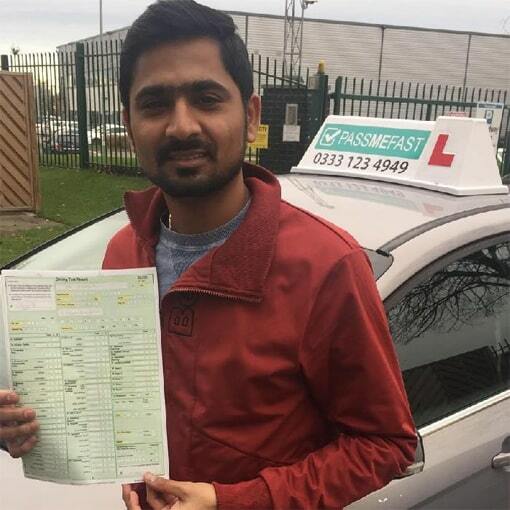 With us he passed both tests first time! Car insurance can be pretty expensive, which is why we've put together a handy guide on what to check for when you're buying car insurance. Wondering what the deal is with dual control cars? Our latest guide covers what they are, how they should and shouldn't be used, and where to buy them! Want to take your theory test in East or North Yorkshire? This handy guide tells you everything you need to know to decide which centre is best for you! I started my course on Thursday and had 15h with Noel. 4 days later and here i am with my driving certificate and passed the first time. The course was amazing and quite cheap. I soon realised were i was going wrong and finally managed to understand how to do a bay park. I would really recommend this to anyone looking to pass. My instructor Noel is the 4th instructor i have had and he was by far the best! Thank you so much Noel you made a young girls dreams come true. I stumbled on their website looking to get my driving license as soon as possible because the waiting list was around 3 months ahead. I initially spoke with Ellie who answered all my questions. Samir and Rory did a great job to get me booked within 10 days and have an instructor at hand to start around my schedule. Sue is a great instructor and has a lovely car, she prepared me well for the driving test with what to expect in a really good learning environment. I completed the 5-hour course having driven in America for 2 years already. Having done my test a couple of times many years ago I thought it was finally time to try again I knew how to drive just needed someone to help refresh my memory and get me through the test and adi was great at that I booked the 5 hour course and from the moment I got in the car adi was fantastic at calming me down and giving tips on what I needed to focus on I passed with one minor! great company and a fantastic instructor would definitely recomend to anyone wanting to do there test and get it done fast! WHO ELSE LIKED THEIR PASSMEFAST EXPERIENCE?